Wish your family and friends a Happy Valentine's Day by sending them these thoughtful personalized valentines cards! We'll custom create your Valentine's greeting with the front featuring any digital photo along with any three line message. 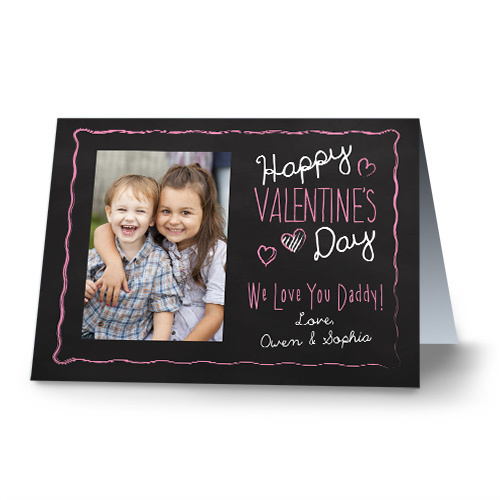 We'll then customize the inside of your Personalized Chalkboard Photo Cards with your very own personal message. 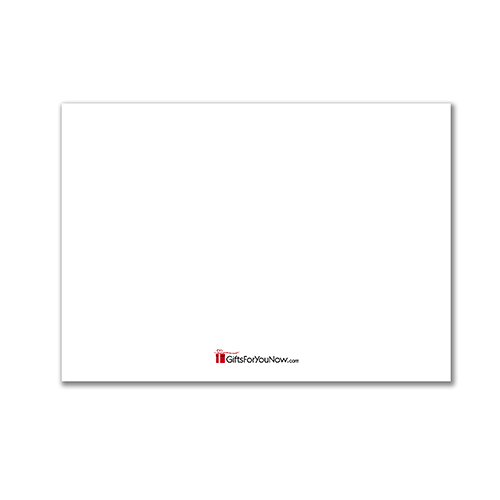 Additional Details Consider these personalized photo cards for a great gift for Grandparents, or take a look at our entire collection Grandparent Valentine's Day gifts. Find personalized gifts for every occasion at GiftsForYouNow!